Meet Hide and Seek Paranormal Society, HASPS was founded by Teresa and Steve in the year of 2014 when they moved from Texas to Ormond Beach, Florida. They recently relocated in 2019 to Pine Island, Florida at the South tip of the island at Saint James City. They have over 16 years of investigative experience in the paranormal field and their team members are extremely dedicated paranormal investigators. HASPS takes pride in how they conduct their investigations and they operate though the highest of standards, professionalism, and confidentiality. The team is strong and growing. Together, their goal is to gather evidence through the use of scientific equipment and techniques that will either validate or debunk the occurrence. HASPS collectively believes knowledge is a very resourceful tool and can be utilized to bring forth a resolution of the situation. "When one discovers what is actually occurring, they can ultimately use this knowledge to confidently conquer their deepest and darkest fears!" Hi all... My name is Teresa and I've have had an interest in the paranormal ever since I can remember. When I was three years old I suffered a near death, out of body experience. Then if that wasn't enough another close call again at the age of 15. A door was opened and this led to me being visited by a spirit hitchhiker. As time passed I became more and more para-normally and psychically sensitive. My encounters increased, to even include sharing my home on a regular basis with several spirits. These encounters use to frighten me, but I realized it was because, I attracted the spirit world as a magnet does with metal. Over the years I gained knowledge and have become more educated about the paranormal and since have evolved. I realized just how blessed I am to have been given the opportunity to validate my spiritual beliefs, while also gaining a higher level of awareness and personal insight. In regards to how people typically react with fear in retrospect towards paranormal activity, I have been there and can empathize. I truly believe with knowledge comes understanding and ultimately respect. Each of us are unique in life, so why wouldn't we also be just as unique in death. Hi, my names Steve. I use to be very skeptical when it came to having anything to do with the paranormal until I actually started having my own personal experiences. This in fact started not too long after starting my relationship with Teresa. When we met she told me of her own experiences and paranormal sensitivities, but I had no idea what that really entailed until I saw it for myself. As time went by I wanted to know more about the unexplained things going on. At first these occurrences startled me, catching me off guard, but eventually I discovered the more I learned the more interested I became. When Teresa joined the group in Texas I started going along with her. I really enjoyed the technical aspects of the investigations. I am so excited about starting our own group here in Florida and helping others not be so intimidated by providing them with information that helps relieve them of the fear associated with unexplained events they might be having. Hello everyone, allow me to introduce myself. My name is Raymond Jr. son of Teresa McLean, founder of HASPS. I am the command station tech and I manage the monitors, camera's and audio equipment during investigations. My first paranormal experience happened when I lived in Texas at the home we owned in Little River where I would hear unexplained voices, knocks, creaks, etc... It never really scared me though. I was used to hearing such things, since spirits always make their presence apparent in our household and have since I could remember. My Mom attracts them LOL. I got to go on many investigations since my Mom and Steve were active members of Central Texas Paranormal Society and I enjoy the technical side of investigating. I am Autistic and because of that I have a good eye for detail and being a tech in training allows me much growth and enjoyment. I look forward to furthering my interest and education in the paranormal. I want to help others who are experiencing fear so that they might feel better and thus can live in peace with these spirits or other paranormal activity when it occurs. Rob was on our team when we were in Ormond and he plans to relocate towards Saint James City in the near future. He is still considered a part time investigator and we will add his photo to our banners once he moves here and becomes a permanent member of the team. 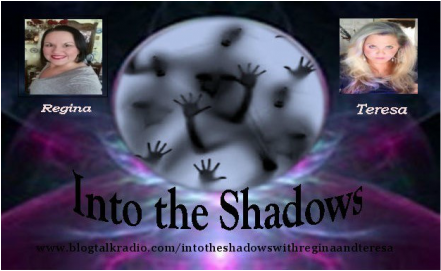 Come join us as we discuss all things paranormal!!! !